It was such a lovely evening last night, with very little wind, that I fancied flying my drone. 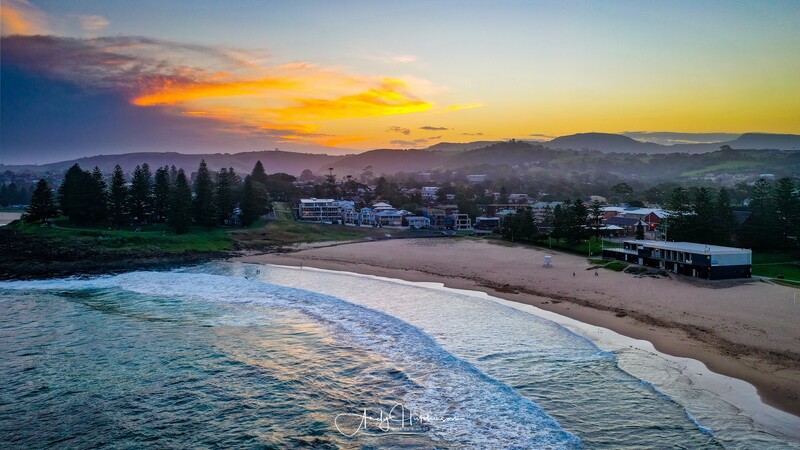 Only problem was that the restricted airspace locally was active again after the Xmas break so I had to head north to Kiama to fly legally. 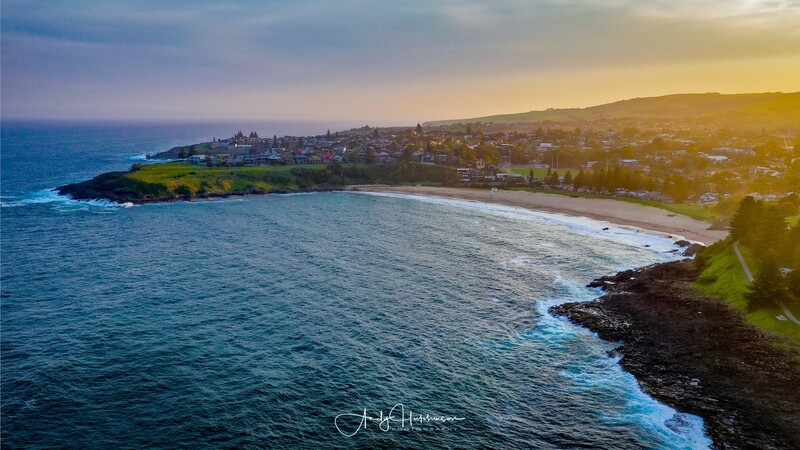 So I suggested to Catherine that we head out early and we could find a nice spot where she could sit and watch the sunset with a nice glass of wine and I could put the Mavic into the sky and take some photographs. We ended up in the Showground carpark and I flew over the ocean near Surf Beach. Cloud didn’t quite pop the way I was hoping, but it was still a great sunset. 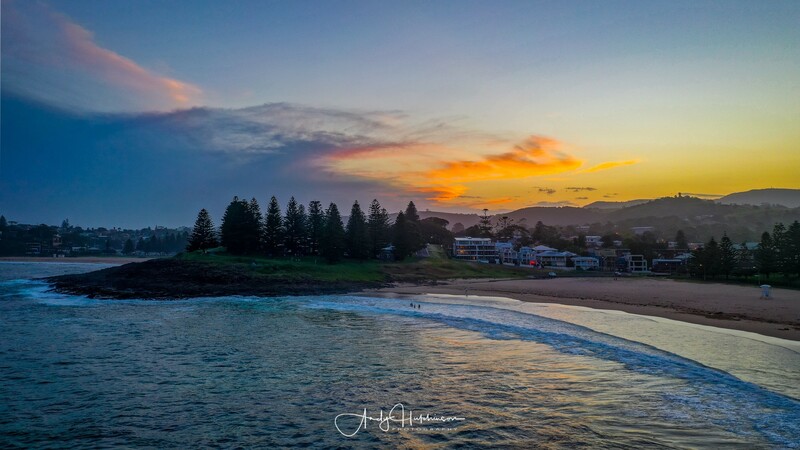 Located a perfect two hours south of Sydney, Kiama has long been a popular weekend destination for city-dwellers yearning for some country air. 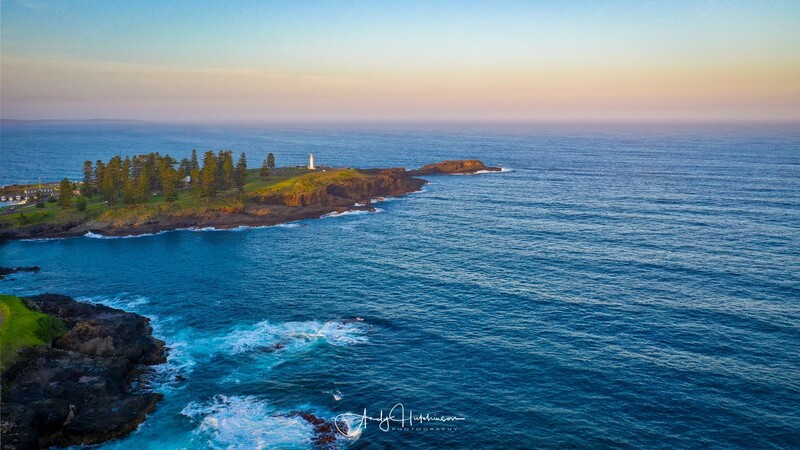 It is best known for its lighthouse and blowhole.